When it comes time to buy a new house, there are a lot of important factors to consider. Using the Internet for home searches has proven to be beneficial for many homebuyers, with 87% saying photos to be helpful and 84% finding detailed information to be very useful. But when you’re deciding what to look for in a new house, there’s one important aspect you don’t want to forget: technology. Today’s technology features can make homes truly amazing — so let’s take a look at a few pieces of tech you should look for in new houses. 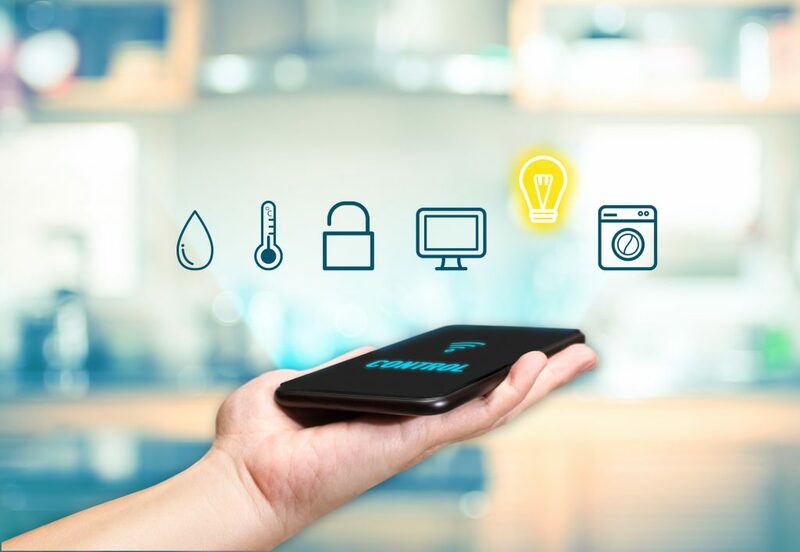 Smart thermostat: Heating and cooling is one of the first areas you should look for innovative technology. With today’s smart thermostats, you can not only keep your home comfortable, but you can save on utilities as well. You can track, and adjust, the temperature, humidity, and energy use in your home. Additionally, a smart thermostat can be programmed to change temperature control when you’re sleeping, away from the house, or during other determined times. Overall, a smart thermostat will keep your home a comfortable temperature while saving money. Security system: Every home should have some sort of security system, other than the family dog, in place. Today’s security systems can come with a variety of other features — motion sensors, cameras, and remote access allow homeowners to feel truly safe in their new house. And being able to control the security system away from home is something all homeowners can benefit from. Whether you’re at work, away on vacation, or just want to check in on the house, you’ll always have access to your home’s security system with today’s innovative remote access options. Lighting: Many of today’s new home builders are wiring the homes with proper wires to accommodate programmable lighting and other systems. Having an automated or programmable lighting system can be beneficial in several ways. First and foremost, having lights on when you’re not home is great for security purposes. Additionally, you can program certain lights to come on in the morning when you’re getting ready or at night when you’re winding down. All in all, automated lighting can be a great addition to your new house. Innovative technology is making its way into new houses more often than not. So when you’re looking for a new home, consider these few technology features to make your life easier and your home even more enjoyable.